When the sound of the generators finally fell silent in his head, Kenny Chesney dug into his mountains of tapes and started listening. To the songs, to the band, but especially to No Shoes Nation, well over one million strong. And the more he listened, the more he realized his music – and the people it has attracted over the last decade – have indeed created a nation without borders or boundaries; in that moment he knew he wanted those people to know they were heard. Almost 10 years to the day from the first recording – a medley with Dave Matthews captured at the end of Chesney’s 2007 Flip Flop Summer Tour – Live in No Shoes Nation captures 29 performances from the last decade. Some hits, some surprises, some obscure jewels, some guests and some of the unabashed songs that have come to define coming of age in the flyover in the 21st century. 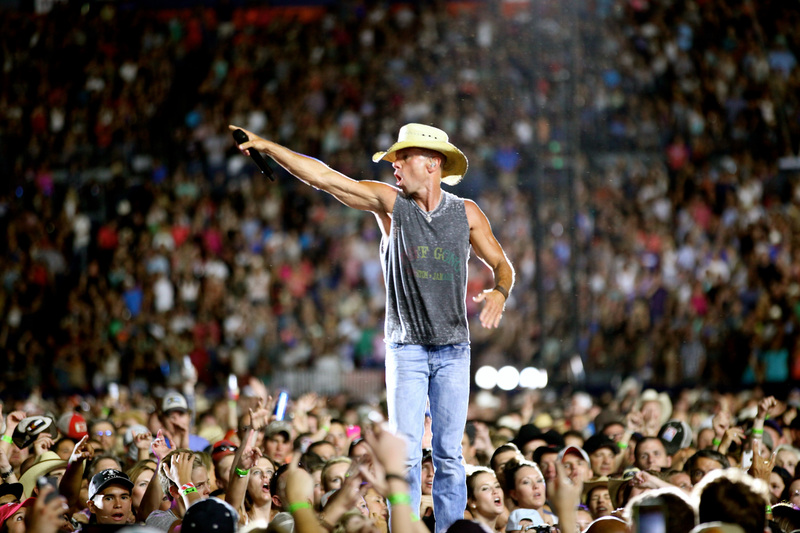 Beyond the obvious joy that marks the 8-time Entertainer of the Year’s summer tours, you can hear the fervor for what Chesney created. Combing through 10 years of stadium shows, pop-up bar gigs, amphitheaters and the occasional beach takeover, Chesney listened to over a thousand hours of concerts in search of the definitive performances. More than wrangling a greatest hits with cheers, the man Los Angeles Times called “The People’s Superstar” sought to capture the spirit of his audience as much as document some of the most special moments in his touring life.